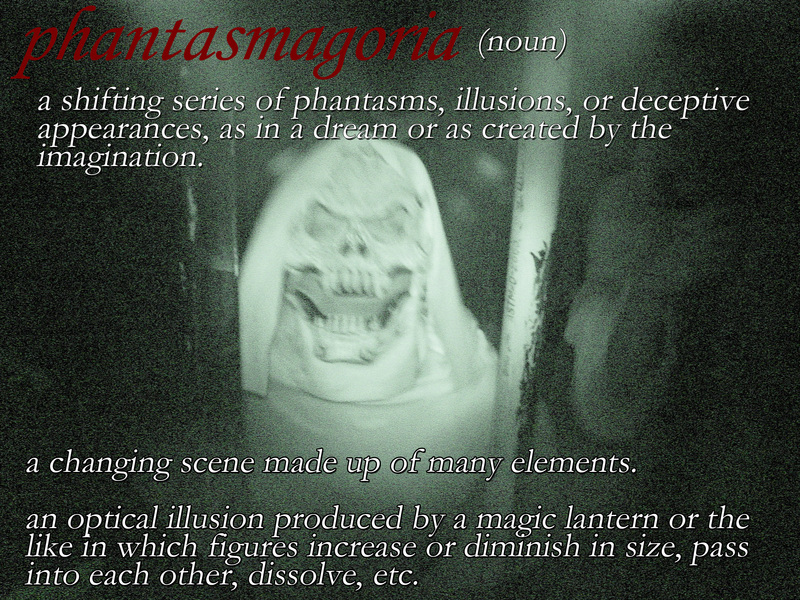 A phantasmagoria is, in many ways, most people’s nightmare and a surrealist’s dream. Just think about the surrealist, eye-ball slicing film Un Chien Andalou. Personally, I think anything horrific or unbelievable is a phantasmagoria. Haunted houses attempt this effect commonplace during the Victorian era with the assistance of magic lanterns. If you find magic lanterns and optical illusions interesting, here is a link to an interesting article on how optical illusions affect the mind.